Hey what's up guys it's the one and only Papa Doc here coming to you with some exciting news! by the name of Sanquii has gotten a hold of a rom dump of the Space World 1998 Demo of Pokémon Gold and Silver. I've attached a screenshot of a beta Pichu and the start screen. aspect of the first two generations and I can not wait to see what we will find such as potential beta or cut pokemon. Yes! It finally happened. =) i'm really happy about this, i simply love beta stuff (might even like it better than glitches), so this is great news indeed. It got leaked. Finishing the translation is still planned. Wow this is is huge, never thought it would happen but I'm super happy it did. 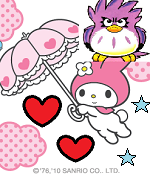 It's amazing a ROM this sensitive got leaked, with all the unused Pokémon, items, moves, minigames, debug menus and so on. I like how the gameplay of this demo is very much more similar to Red/Green, even including glitch Pokémon like the originals and no ?????. Regarding those. Your party Pokémon data begins at D6AA but I don't know how you'd modify the wild Pokémon other from the debug menu yet, do you know? ah, no. So far i've only found these glitch Pokés through the debug fight option. =) So i don't know yet. Yeah I noticed that too. According to TCRF Chansey's sprite is from Game Boy Camera as well (although I can't find it as a stamp in the Game Boy Camera game and don't know if that was a mistake). 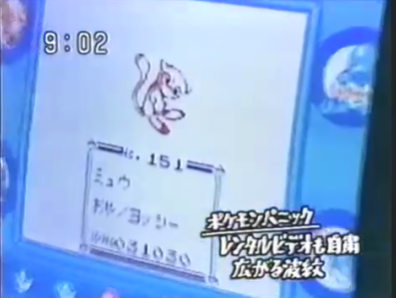 Additionally Mew's sprite was used in a Mew distribution cartridge. Nice! Really wanted these. great that you could find em. and the originals and then wait for the translation to come out. and the logo on the intro screen.